Why does the toilet always take 2 flushes to get rid of the loo paper? Not sure if its just my loo or most loos, but it seems such a waste of water to flush twice every time to get rid of the excess toilet paper that doesn't go the first flush. Can I do summat to make the 'suction' of the flush stronger?? I don't use thaaat much lol. Er talk to me like youre talking to a novice ok? how do I adjust the float and what is a float?? Cisterns over the years have had their water capacity reduced repeatedly, to be more 'green'. Cisterns from the 70's and 80's often had 8 or 9 litres of water per flush. Nowadays with dual flushes and environmental concerns, some cisterns are down to as little as 2.6 litres (half flush) and 4 litre (full flush) on the smaller models - simply not enough water to ensure you get rid of everything in the bowl every time. 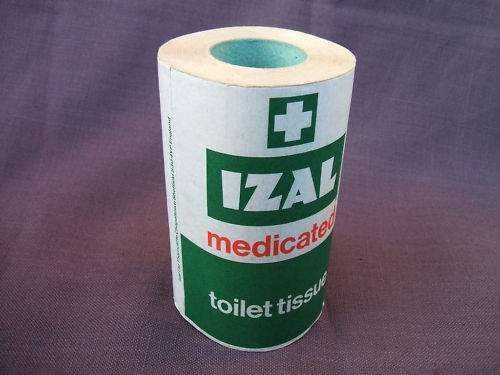 We had this when we used luxury brand paper. Go for mid range or lower if you fancy it. Its a new loo with 2 buttons. even when pressed together (long flush) its leaves loo roll behind. Cisterns over the years have had their water capacity reduced repeatedly, … Cisterns over the years have had their water capacity reduced repeatedly, to be more 'green'. Cisterns from the 70's and 80's often had 8 or 9 litres of water per flush.Nowadays with dual flushes and environmental concerns, some cisterns are down to as little as 2.6 litres (half flush) and 4 litre (full flush) on the smaller models - simply not enough water to ensure you get rid of everything in the bowl every time. Defeats the object, rather . We had this when we used luxury brand paper. Go for mid range or lower if … We had this when we used luxury brand paper. Go for mid range or lower if you fancy it. nope, hasn't helped in past, but ta anyway. Agreed completely. The largest cistern you are generally able to buy nowadays is 6 litres, due to all the silly regulations put in place. If you do some hunting, you can find some much older cisterns holding 11-13 litres - you could flush a whole toiletbowl of pingpong balls at the first flush they were that good! Agreed completely. The largest cistern you are generally able to buy … Agreed completely. The largest cistern you are generally able to buy nowadays is 6 litres, due to all the silly regulations put in place.If you do some hunting, you can find some much older cisterns holding 11-13 litres - you could flush a whole toiletbowl of pingpong balls at the first flush they were that good! its a rubbish syphon. either adjust the fish if possible or replace the syphon with a different brand. Most likely the bends in the pipes at the back are at 90deg which means it wont flush as easily. plumber put sharp bends in the pipes so it doesn't clear very well if too much paper is used. 90 degree pan connectors have been used for decades without any issues, its down to the volume of water per flush, not the soil pipe bends. Source: I've been selling all this stuff for a long time. Why don't you just covert to these? You can buy a whole new toilet in a box for £50. Only two connections. Modern 1s with buttons are water saving and don't flush very well also they are lower, I.e there's not enough 'head' (the fall from cistern/tank to the bowl) if it's a button 2 is for a poo and u should hold it down. 1 is for liquids and u just press it down. But in general even for lever operated toilets also hold down.